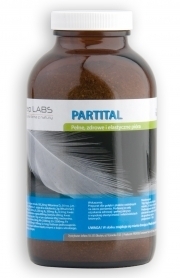 PARTITAL the preparation facilitates the formation of full, healthy feathers of high flexibility. Proper supplementation during the moulting period is especially important because malnutrition and deficits result in defects in the feather structure. It will have a disastrous effect for sport flyers in the next season. PARTITAL contains the optimum amount of proteins, minerals and vitamins, along with a herbal composition. 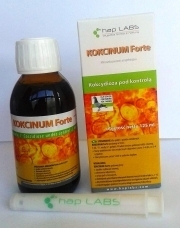 Kokcinum Forte is a highly specialist natural remedy (antibiotic-free) made to effectively limit and invasions of protozoans belonging to Coccidia order, Eimeria-sp type. 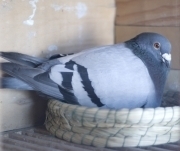 Coccidiose is one of the most frequent pathogens decreasing immunity and condition of pigeon, which is a factor giving a way for further infections (Salmonellosis, Colibacillosis, Paramyxovirosis, Circovirosis, Trichomonadosis). One should aim at continuous reduction of coccidia in intestines. In stressful situations (flights, exhibitions, etc.) each factor decreasing immunity causes that even an insignificant invasion might be a cause of an illness. That is why, from time to time, it is necessary to prophylactically free the birds from coccidia, even if there are no clear clinical symptoms. DOES NOT CONTAIN DOPING AGENTS !! !